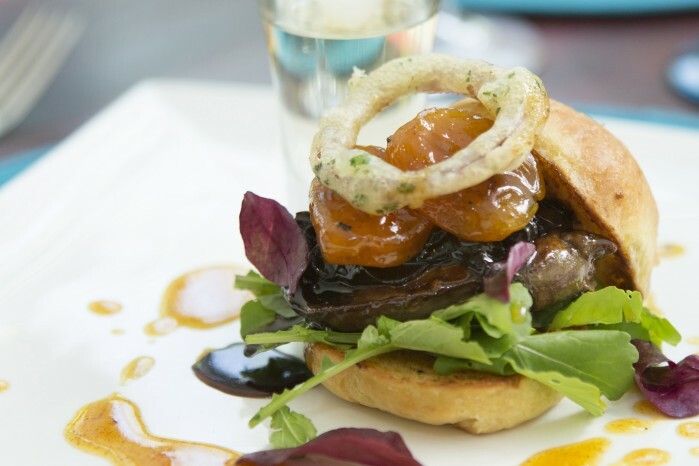 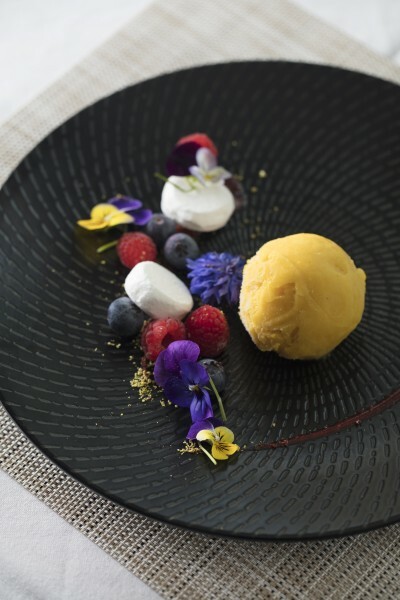 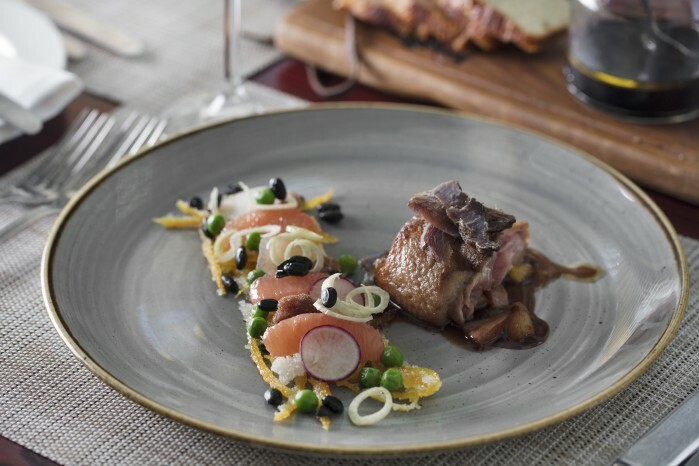 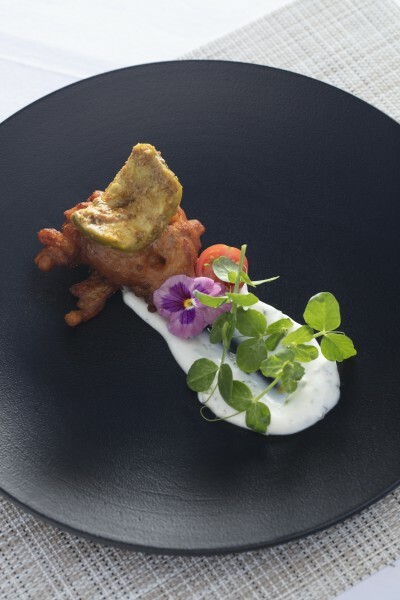 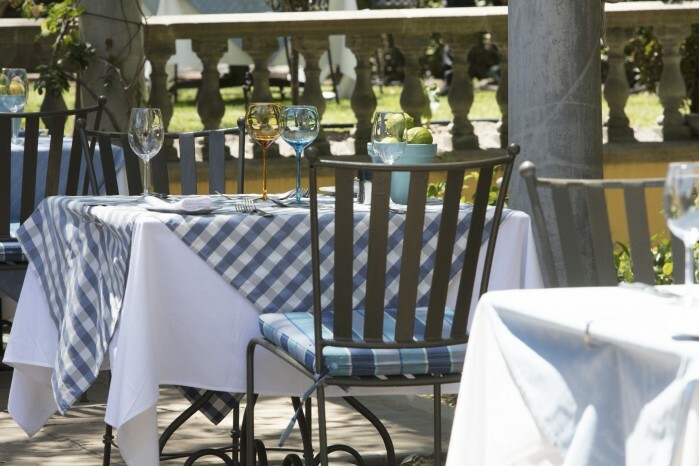 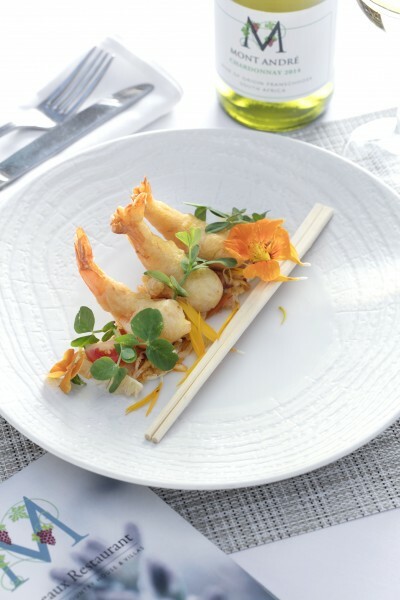 Amongst Franschoek’s premier Restaurants, the established Monneaux Restaurant serves lunch beneath a glorious pepper tree on the fountain terrace, and dinner in the magnificent Manor House. 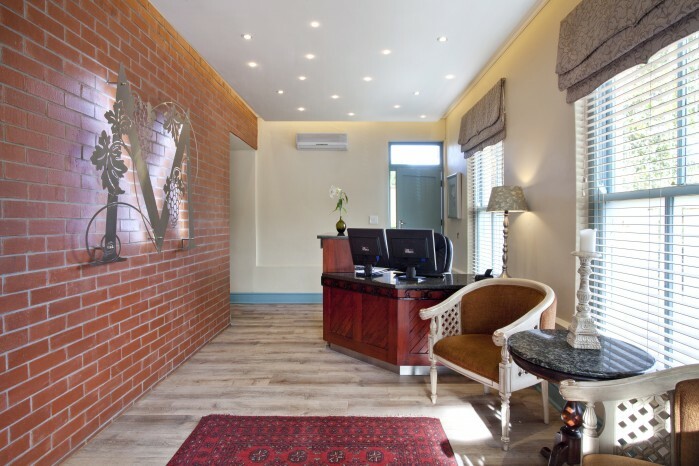 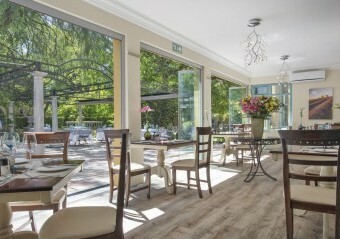 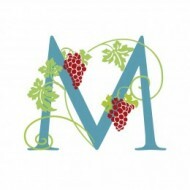 The location of Monneaux Restaurant is where Franschhoek's initial parfumerie was. 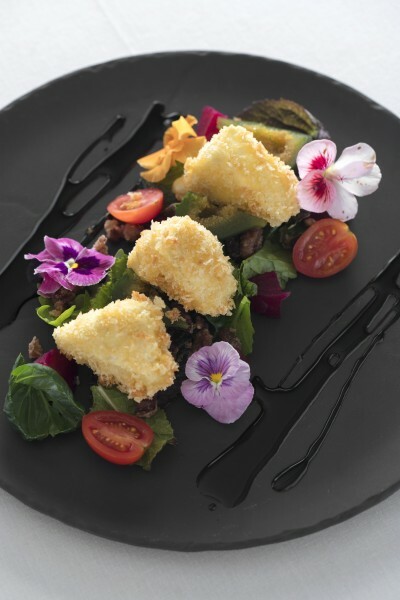 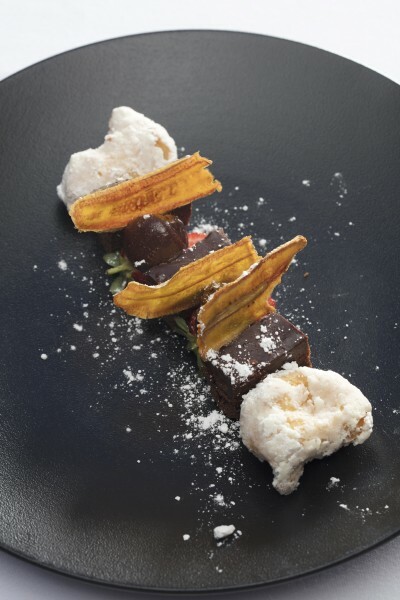 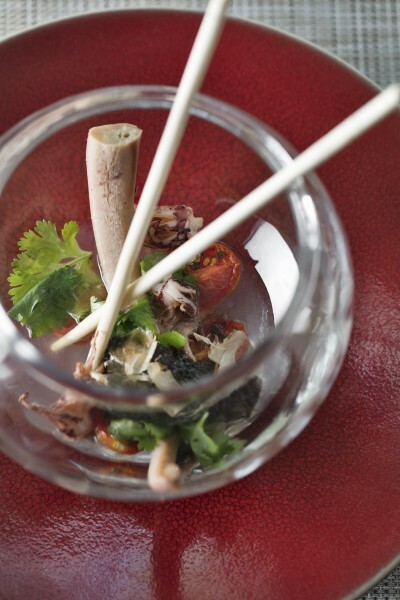 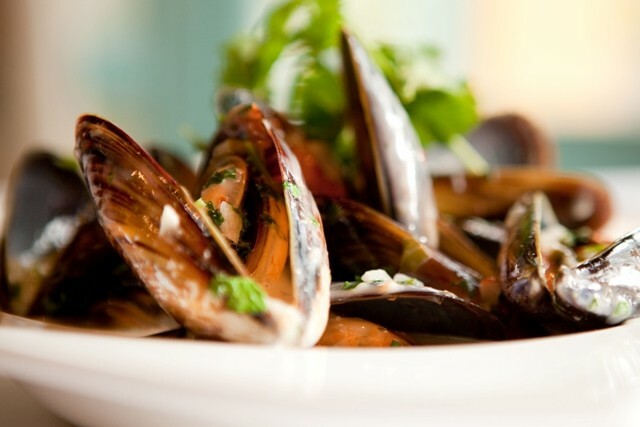 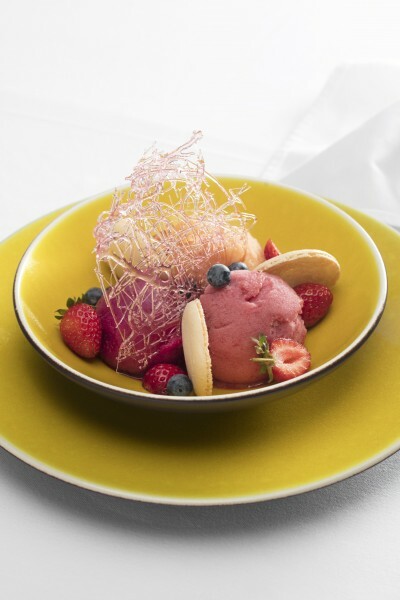 The chef, Louis Jansen's superb dishes are culinary classics that more than satisfy. 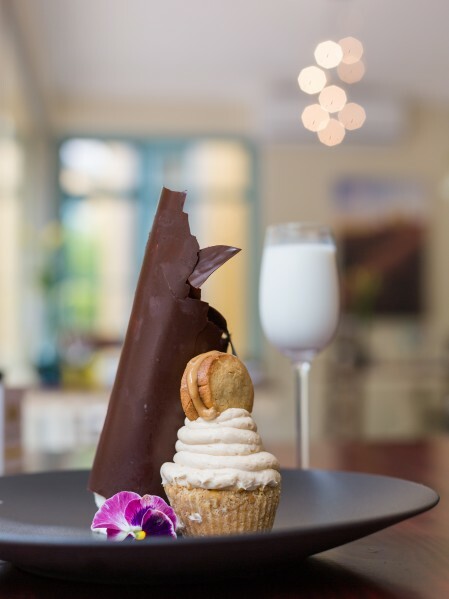 Monneaux stands head and shoulders against fierce competition on South Africa’s premier standard at Cape Town South Africa! 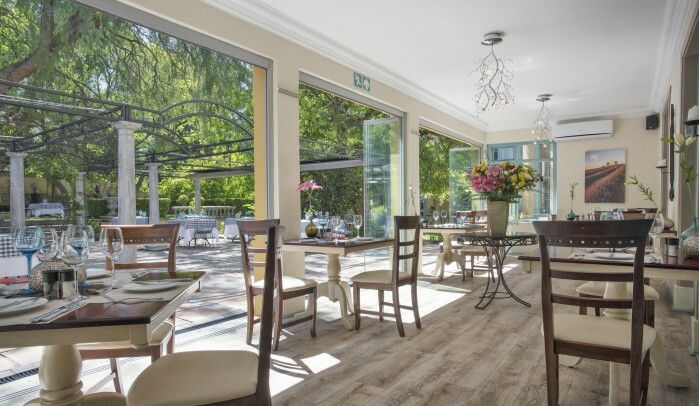 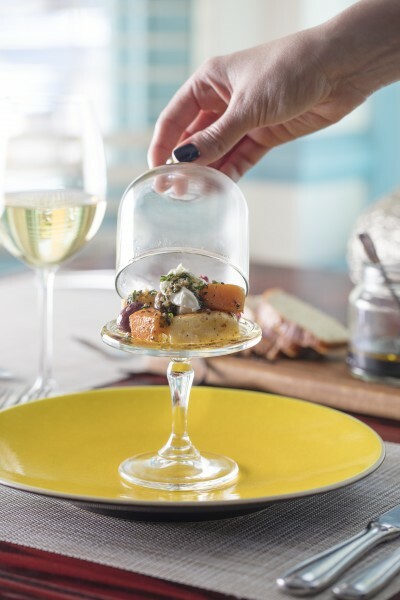 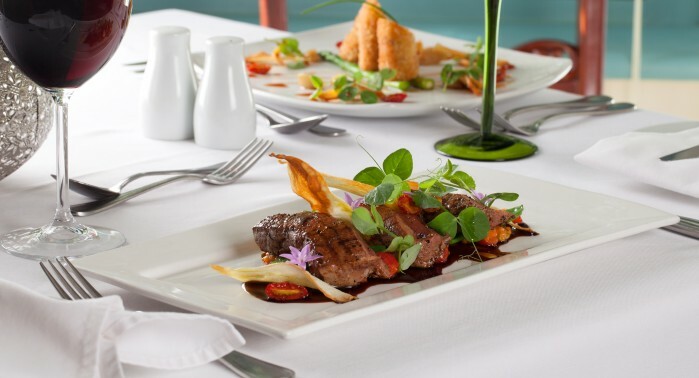 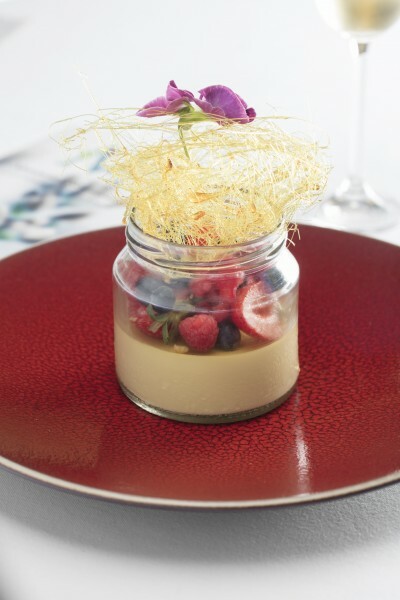 A must visit, having been in the country's Top 100 list for a run of six years, on the Top 10 list for two years and topping this all, Monneaux Restaurant won the American Express Platinum Award for fine dining! 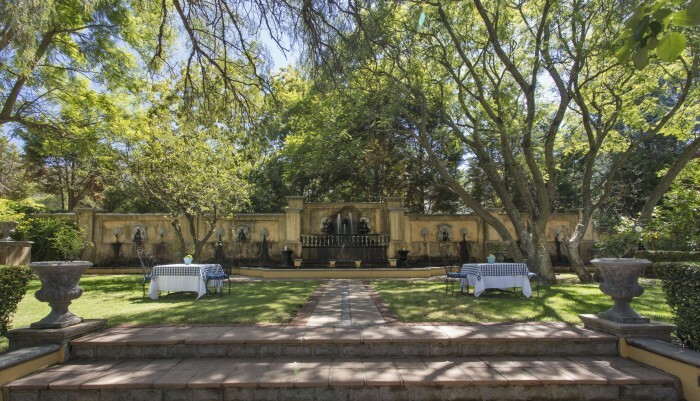 Private functions are catered for in the underground cellar. 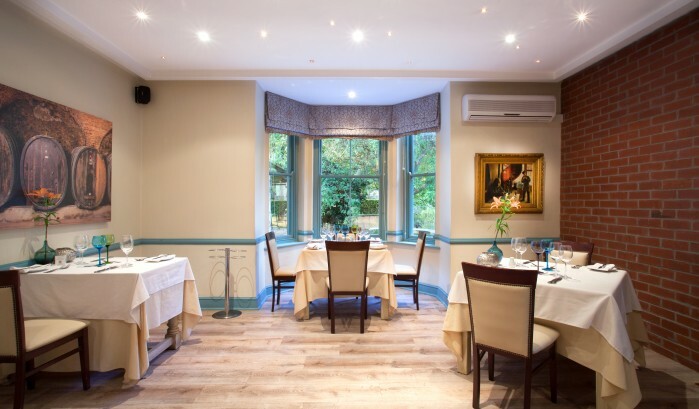 Surrounded by a fine selection of choice wines and sophisticated ambience, this intimate area is perfect for a small group. 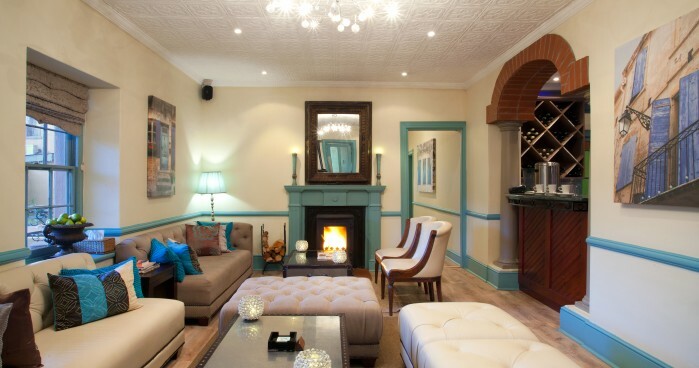 The bar lounge in the restaurant is a great place to unwind with friends and sample some of our signature drinks. 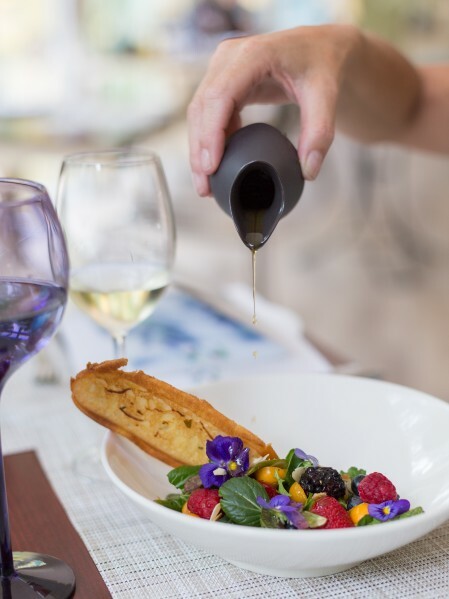 The wine list features the classic wines of the Franschhoek Valley as well as an outstanding selection of other highly acclaimed local vintages. 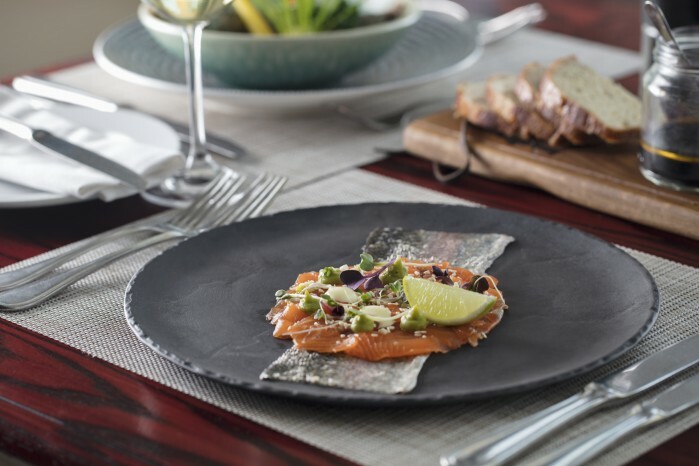 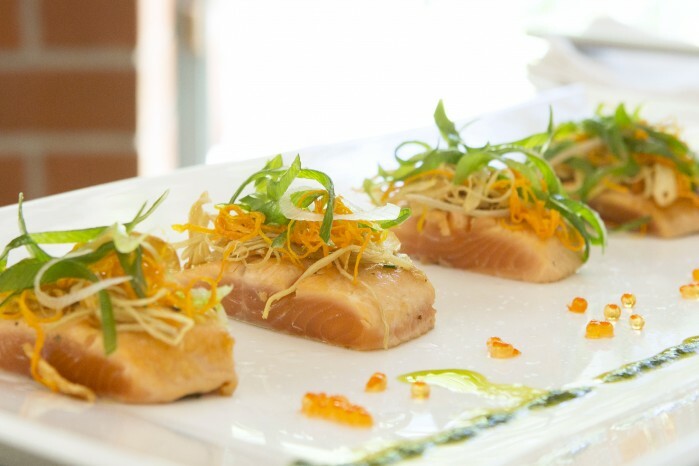 Seared franschhoek salmon trout sashimi with wasabi mayonnaise, trout caviar and chives.